State Representative Steve Stafstrom has earned the Bridgeport Regional Business Council’s ‘Regional Impact Legislator of the Year Award’ which was presented to him at the group’s 2016 Annual Meeting. The mission of the Bridgeport Regional Business Council (BRBC) is to increase the economic opportunities for the people of the Bridgeport region by acting to create an environment for business expansion, retention, and recruitment that will result in jobs and tax base growth. The award to Rep. Stafstrom was determined by the BRBC’s Government Relations Committee and is given annually to a regional legislator with a voting record in support of business and legislation relating to improving the economy. 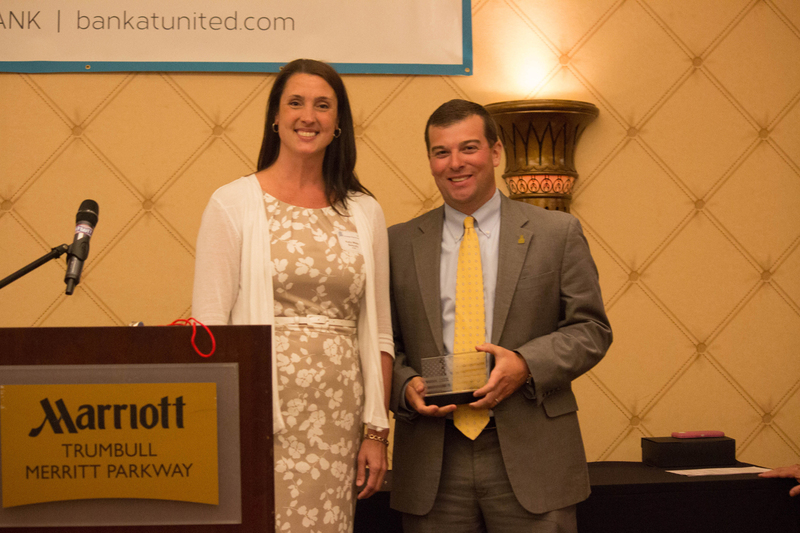 The award was presented to Rep. Stafstrom by Kelly-Wade Bettuchi, representing AT &T, sponsor of the award. Rep. Stafstrom is a member of the Judiciary, Environment, and Finance, Revenue, and Bonding Committees.